Monolith and Warner Bros. addressed pricing concerns for their upcoming F.E.A.R. 2 multiplayer Toy Soldiers Map Pack today, revealing that the downloadable content would be released completely free of charge next month. The Toy Soldiers Map Pack, announced on Wednesday, is a multiplayer add-on for F.E.A.R. 2: Project Origin that adds a number of new. giant-sized maps to the game's online component. Warner Bros. and Monolith wants to make sure everyone is aware that they won't be charging a dime for it. We are aware that there has been some confusion regarding the upcoming F.E.A.R. 2: Project Origin "Toy Soldier" map pack. 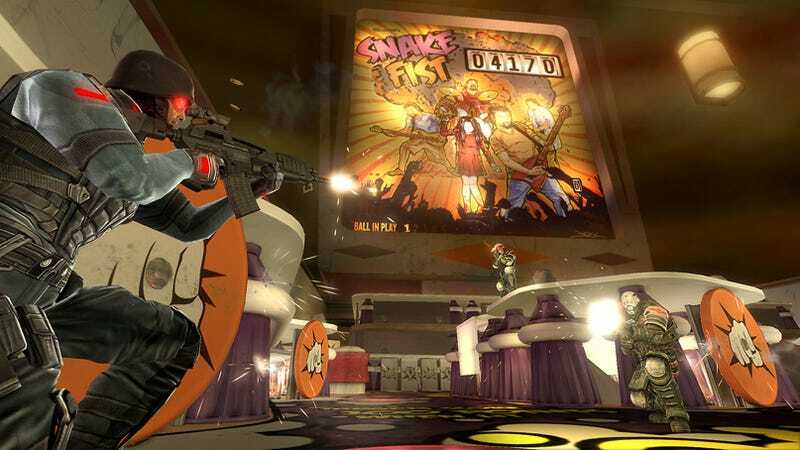 As has always been intended by Monolith Productions and Warner Bros. Interactive Entertainment, the content will be available free-of-charge in mid-April on Xbox LIVE Marketplace for Xbox 360 and PlayStation Network for the PLAYSTATION 3. As for the look and feel of the new maps, as you can see they're definitely a departure from standard F.E.A.R. fare.